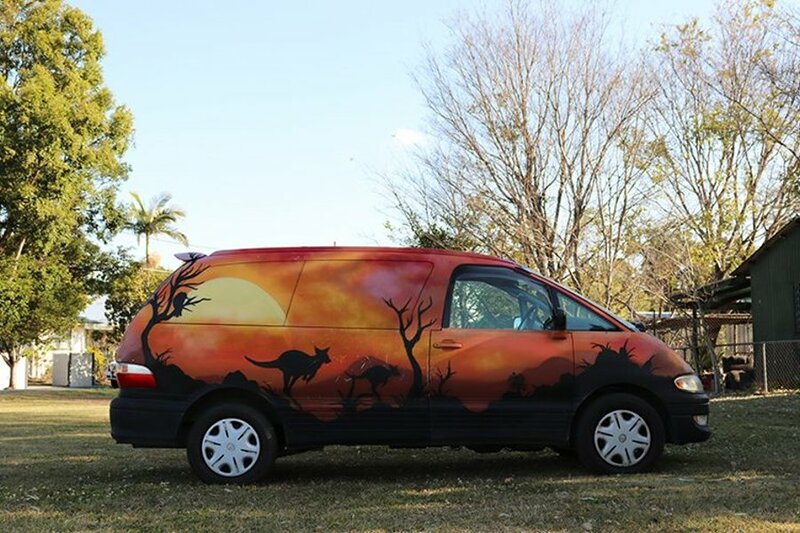 The Awesome Classic Camper is a fun and funky option for your upcoming Aussie road trip! This budget friendly travel option offers one of the best ways to experience Australia without breaking the bank. Our vans are designed for 2 people and will get you to where you need to go in comfort and style! The Toyota Estima also has power steering, a dual battery, and a power supply of 12volt & 240Volt. It has ABS and air-conditioning and heating in the driverâ€™s cabin. For your entertainment it also has a radio and CD player, and for your safety, it is equipped with airbags. Please note there are minimum rental periods for Awesome Campers. Check terms and conditions. Drivers drivers must be 21 years of age. There is a minimum rental period for Awesome Campers. Ask your agent for an up-to-date quote. There are also additional fees associated with Awesome Campers, including 1 way fees. These vary depending on your departure and final destination. Please ask your travel expert what fees you may have to pay. Ask your agent for an up-to-date quote.